Try our English pronunciation lessons today! 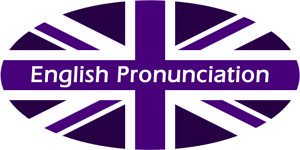 You can learn English online today with our free English pronunciation lessons. Each lesson explains different areas of English pronunciation, provides examples and English quizzes with practice questions. You can also try our free online English level test, and learn English online with other lessons for English grammar, English vocabulary and English communication. The best way to improve English pronunciation is through speaking practice. We offer private English courses in Munich and online to develop your pronunciation and to improve your fluency, with internationally-qualified English trainers.